Ray Walden is the chief of staff for the Clay County Sheriff’s Office and is responsible for more than 600 employees with a $53.3 million budget. He is second in command of the agency and manages the day-to-day operations. He brings a wealth of experience to the Clay County Sheriff’s Office. 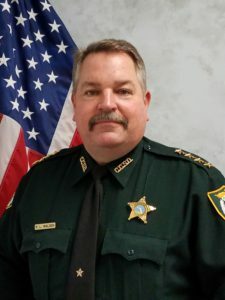 He is a 31-year law enforcement veteran who has held many senior-level positions with the Jacksonville Sheriff’s Office including the director of Patrol. Walden started his career with the Baldwin Police Department as an officer. Walden has more than 2,000 hours of advanced training in hostage negotiations, SWAT liability, disaster preparedness and response and more.